ColorWheels seen here at a Science fair in West Philly. Last fall I had the pleasure of working with Fleisher Art Memorial to develop a highlight video for their ColorWheels program. This is an outreach program developed to take art anywhere in the city where the mobile studio can drive to. 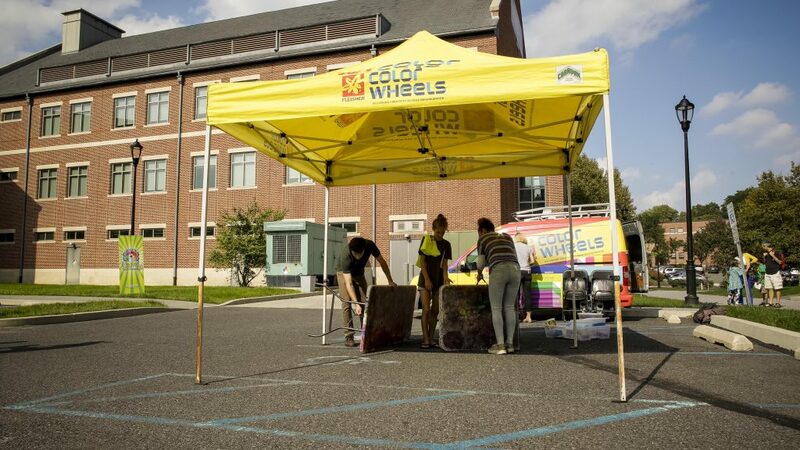 The main goal of the video was to showcase the versatility of ColorWheels since it can go to parks, schools, festivals, and fairs (and more!). To show how the studio can go from location to location, I used a GoPro attached to the dashboard and recorded timelapses of the routes that the van took to get to its destinations. To bring the story together, I conducted a few interviews with several of the staff that run the program and the executive director of Fleisher Art Memorial. I had help from Pablo Alarcon with the boom pole work for the interviews and he even took a few video clips that made it into the final video.